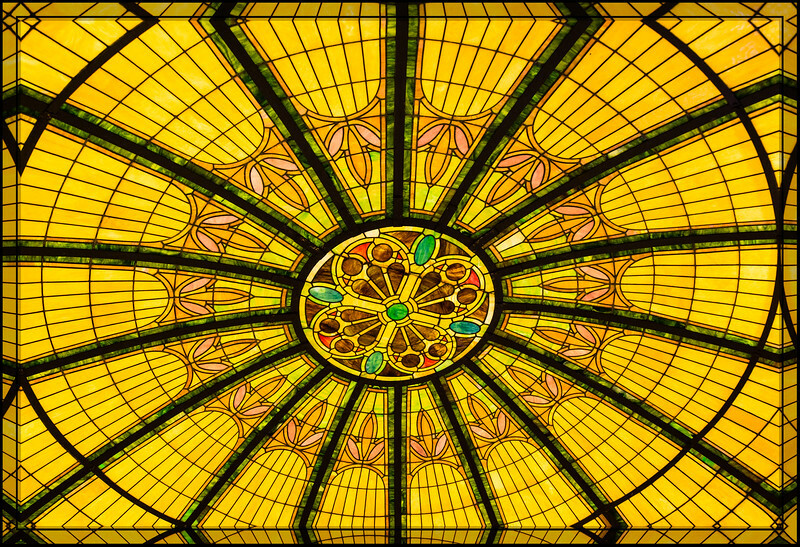 Super closeup of the wonderful stained glass dome! Fabulous capture of this stained glass. Wow, that would have taken a lot of work to get it looking so magnifficent !! Fine capture !! That's a real beauty. There's one similar in Paris. Great shot.